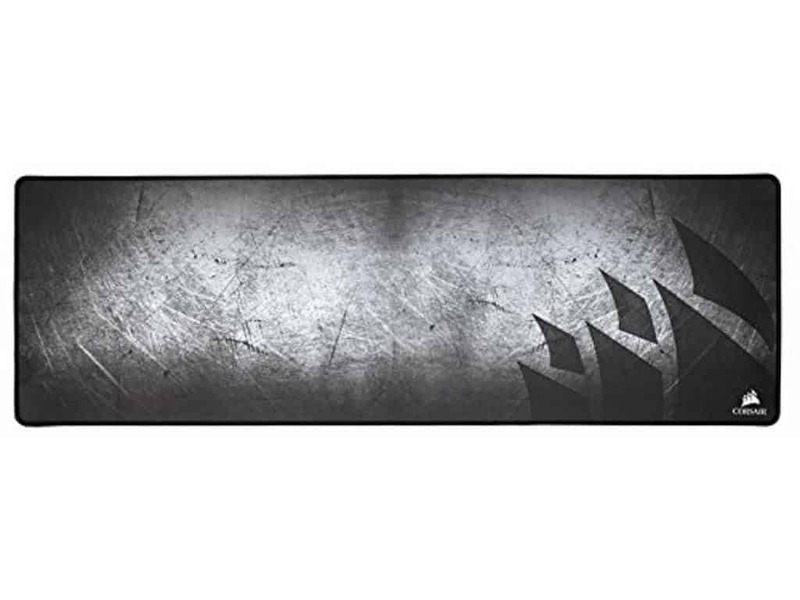 Mousepads are one of those beautiful things in PC gaming that provides tons of value for a very low cost. We skip past the gaudy mouse pads that plague the internet and find the best gaming mouse pad. 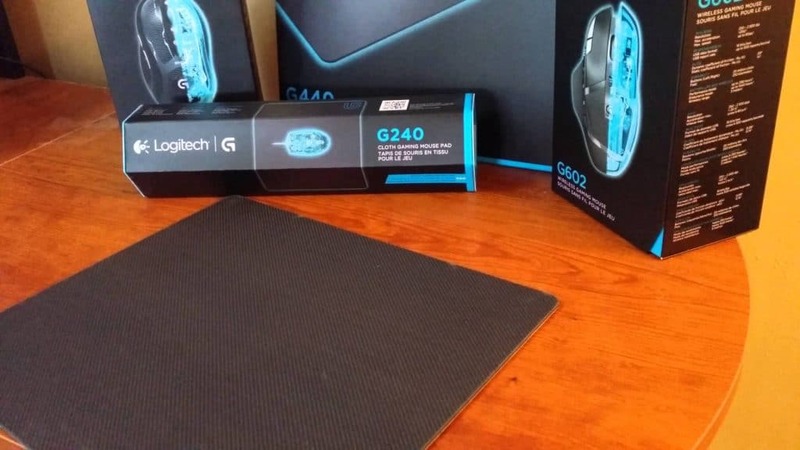 While gaming mice are important, a solid gaming mouse pad is arguably just as important. Sensors on top-end gaming mice are generally very high resolution, meaning you need a solid (of soft) surface to ensure all that detail is picked up. With tons of options out there, many of them not meant for gaming, we hunted down the best gaming mouse pad. 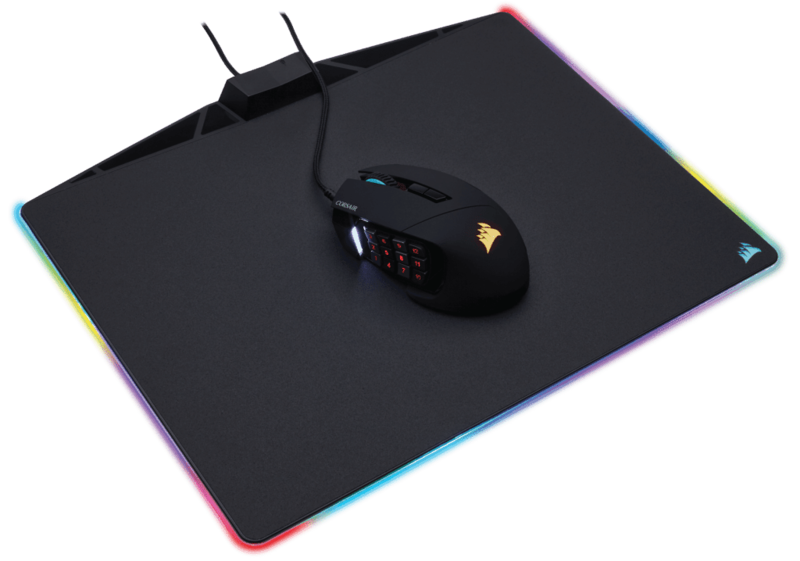 For our money, the Corsair MM800 Polaris RGB is just about the most full featured mouse pad that money can by, turning the physical peripheral into more of an electronic component. The RGB lighting, while not for every user, syncs beautifully with Corsair’s CUE software and can push the aesthetic of a build even further. However, not everyone wants or even needs RGB lighting. Options like the ROCCAT TAITO make mouse pads practical again, with a soft cloth surface and little fuss in setup at an incredibly low cost. Now imagine the G440, but bigger and with RGB lighting. The Corsair MM800 Polaris RGB is everything that isn’t required in a mouse pad, but we’re sure glad it’s there. From a practical standpoint, the MM800 matches the G440 with a hard surface overall. At an unconventional size, the mouse pad 350mm x 260mm, sitting in a strange, slightly below “medium” size. This is to accommodate for the fat USB pass through and cable coming out of the top of the mouse pad. Yes, a mouse pad with both a cable and USB passthrough. However, this USB power is needed to drive the 15 zone RGB lighting placed around the mouse pad. 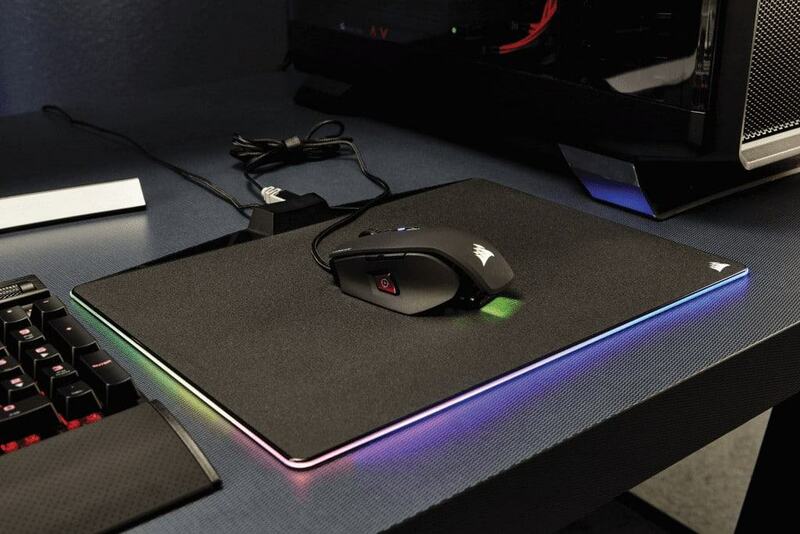 Being the standout feature, this lighting stretches around the mouse pad as well as integrating with the Corsair logo in the bottom right corner. 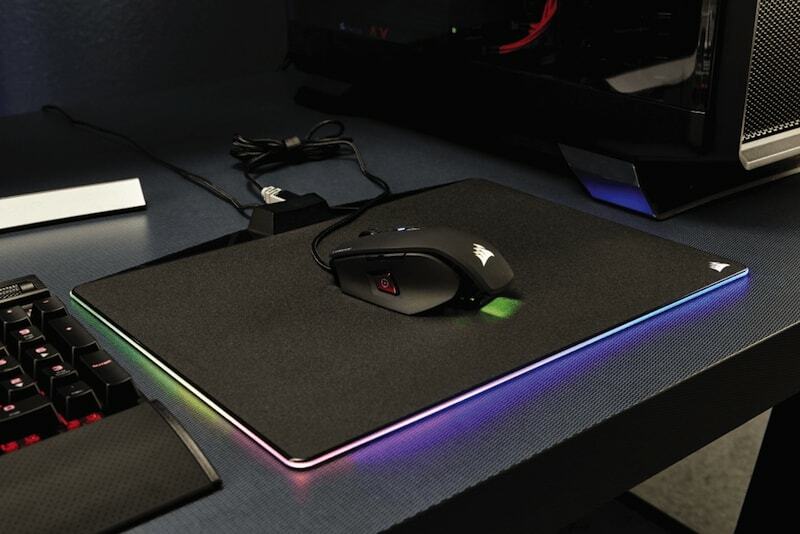 As part of the Corsair RGB ecosystem, the mouse pad integrates with Corsair’s CUE software, allowing you to program very advanced lighting effects and syncing with other CUe-enabled Corsair products. Overall, the MM800 is complete overkill for a mouse pad, but that doesn’t mean it isn’t awesome. While size may be an issue for the Turtle Beach Medium Drift, it certainly isn’t for the Corsair MM300. This full size mouse pad stretches across your entire desk, suggesting you might be compensating. In all seriousness, the mouse pad is very large, measuring 930mm x 300mm and easily grabbing both your keyboard and mouse in the process. The nostalgic Corsair sails are a throwback to the past and will give the warm and fuzzies to any Corsair enthusiast. However, this mouse pad goes further. Corsair’s excellent quality standards shine through with incredible, anti-fray stitching and solid rubber backing to ensure the pad doesn’t slip around. While not for everyone, the MM300 strikes an amazing mid-point between price and quality, standing up to the rigorous standards of Corsair and providing a massive mouse pad. The design will make a lot of Corsair fans happy and the size will keep those who like a uniform look in check - just make sure you have the desk space. Logitech comes into the list, of course, with their G440. While it may be at a significantly high price than the other mouse pads on this list,it is a fantastic pad that pairs perfectly with other Logitech hardware. The first way in which it pairs is in design. 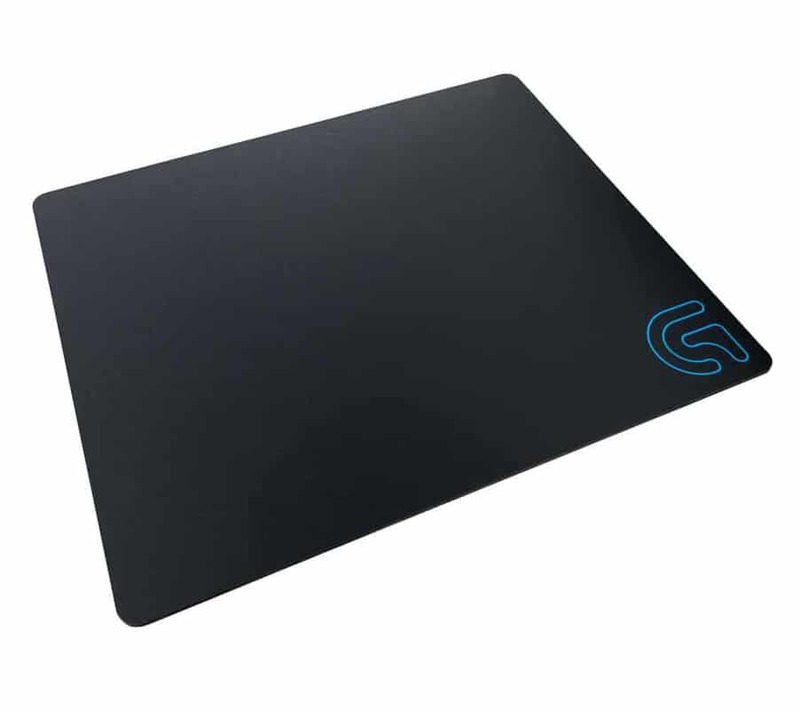 The understated Logitech Gaming “G” sits in the corner of the mouse pad, with subtle neon blue (consistent with their color scheme) creeping up from the bottom of the pad. Looks isn’t just where this mouse pad excels, though. The hard surface and polymer core provide a very low friction experience with a mouse, matching perfectly with high DPI sensors. Speaking of sensors, Logitech claims that this mouse pad is tuned for Logitech sensors. While this is more than likely just marketing talk, this pad would probably be a solid choice either way to pair with a Logitech mouse. With sizes comparable to the ROCCAT TAITO, you may be scratching your head at the $26.99 price point. However, the hard surface and exceptional build make this mouse pad well justified at the price, feeling much more premium than any other on this list. ROCCAT may not be the most prominent name in the world of PC gaming, reserving most of their peripherals to the depths of Amazon. 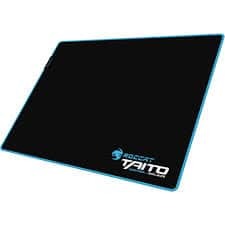 Still, their Taito Control Endurance mousepad is practical in every sense of the word, providing a halfway decent mouse pad for $8.99. At $8.99, not a whole lot can be asked of the surface in terms of features. However, it still fares decently well with a subtle and beautiful neon blue aesthetic and all black surface. The blue stitching on the side isn’t the best, but it’s better than most options out there. You should get quite a bit of use out of the pad before the edges start to fray. The 400 x 320mm size is also nice at only $8.99. The touchpad doesn’t feel too small, sitting in the “medium” range in size. 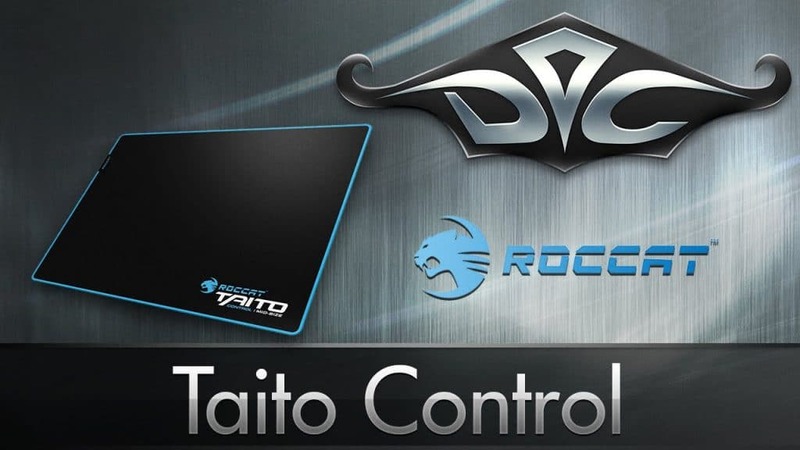 Overall, the ROCCAT TAITO is a very inexpensive mouse pad that provides in every area that it needs to. The smooth surface, passable stitching, and understated aesthetic make it an incredible value at only $8.99. 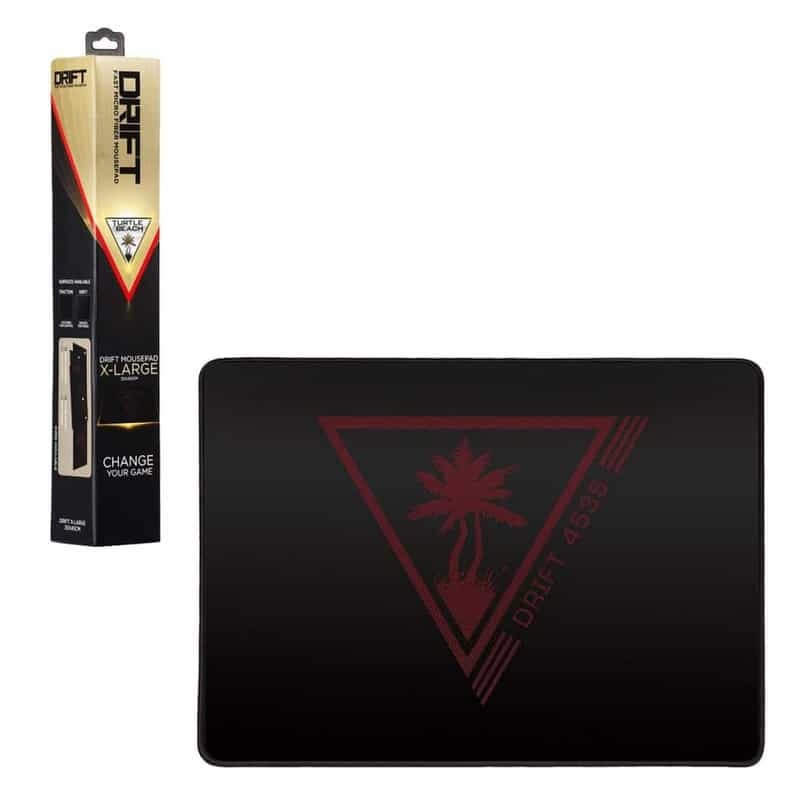 Stepping up a bit in price, Turtle Beach’s Drift series of mouse pads provide a micro-fiber surface with ballistic nylon stitching. What that translates to is that it feels the same as every other mouse pad out there. At $23.70, the Medium drift feels a little small, measuring 10.63"x8.66", significantly smaller than the Taito. The price is also considerably more, making, on paper, it seem like Turtle Beach might be trying to rip you off. However, once you hold the mouse pad in your hands, the price jump begins to be justified. While in use the pad feels about the same, the stitching and overall quality of the mouse pad feels much higher, quickly showing that a $10 jump may be worth it. With all things considered, the Turtle Beach Medium Drift is a great mouse pad at a great price, but falls just short of the Taito in overall value due to that mouse pad’s rock bottom price. If there is an abundance of anything out there for PC gaming, it’s mouse pads. 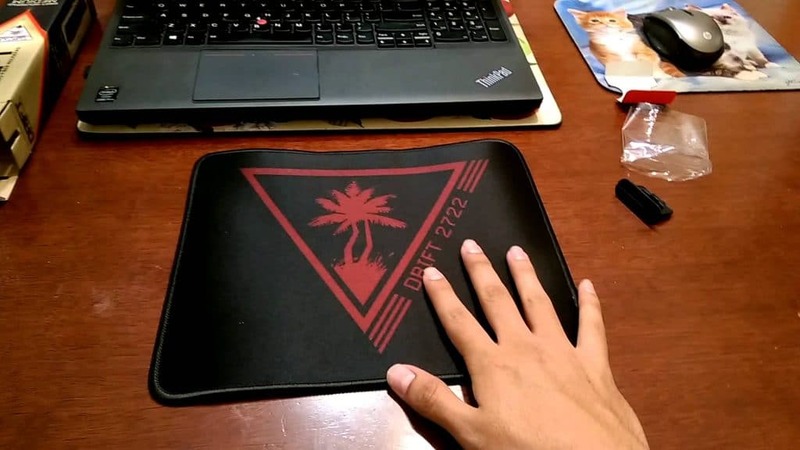 Just about about every game has some sort of mouse pad associated with it, with many companies cranking out their own branded options just to have them. Because of all the gaudy options out there, we followed specific criteria to find the best gaming mouse pad. While mouse pads aren’t necessarily “constructed”, they have to feel well both in the hand, and on the desk. When picking our mouse pads, we paid close attention to how “quality” the mouse pads felt, giving them a more premium feel over a custom printed one with your dog’s face at Walmart. A vital aspect of this piece of the puzzle is in the stitching around the mouse pad. Since gamers are constantly adjusting and ripping their hand across the pad, we picked out options that had quality stitching that wouldn’t fray over time. Construction isn’t enough for gamers, however. A mouse pad is a very important part of a gamer’s rig, and that’s largely due to how the surface feels and how it tracks the, often very high resolution, optical or laser sensors. All of the surfaces here, while some are different, are for the most part uniform, providing a single texture around the pad. This is important for ensuring the sensor accurately tracks the movement of the mouse for games that require very precise moves. If there’s anything where there’s some leeway in looks, it’s in your choice of mousepad. There are no shortage of cringe worthy options around the internet, so we paid close attention to the look of each of the pads we chose. The looks we went for is something that shows off the gamer aesthetic without being too over the top about it. All of the most pads (with maybe the MM800 as an exception) feature branding that shows off your loyalty without getting in the way. So, there we go. Those are our picks for the absolute best gaming mouse pad out there. Your mouse pad, while sitting under a much more expensive mouse, is just as important to the overall experience. While there are marginal gains in actual performance in game, the gains in comfortability easily offset the, usually small, cost. While total overkill, the Corsair MM800 is still by far the best mouse pad on the entire list. 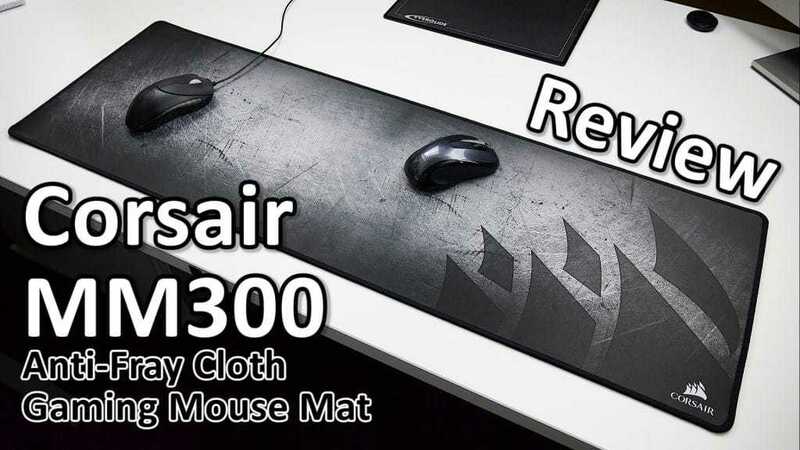 Corsair leapfrogged every mouse pad out in order to bring something that is slotted well into the future, but here for us now. But, $50 is a lot to ask for a mouse pad. Options like the ROCCAT TAITO and Turtle Beach Medium Drift give excellent construction and design for a substantially lower price. Four mouse pads, it comes down to your personal preference. Design and size play a bit part in that choice, but we’re confident any of the brands on this list will offer an excellent product.